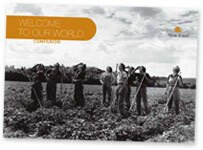 Slow Food USA’s 200 chapters seeks to create dramatic and lasting change in the food system. We reconnect Americans with the people, traditions, plants, animals, fertile soils and waters that produce our food. We work to inspire a transformation in food policy, production practices and market forces so that they ensure equity, sustainability and pleasure in the food we eat.